Recently, during the month of June, mortgage interest rates moved into the 4 percent range. This is higher than it’s been in the last several months, in which prospective home buyers all across the nation have seen rates drop as low as 3.25 percent. 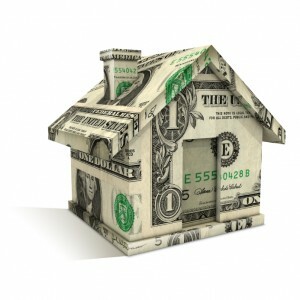 So with interest rates rising again, how exactly is this going to affect the South Florida real estate market? Today, we’re going to analyze this and let you know. As many experts have noted recently, the slight increase in interest rates has encouraged many would-be buyers to finally enter the market before the rates rise even more. This is interesting in itself given that just a decade ago, it was perfectly normal to see a 6 percent interest rate or a 9.5 percent interest rates. But in recent years, buyers have grown accustomed to record-low interest rates. Experts calculate that home buyers will see a 6 percent jump in monthly payments for every 0.5 point increase in the overall interest rate. When rates first rise, home buyers worry they’re going to rise more and so there’s a surge in buying activity. But as rates steadily rise, experts predict that purchase levels will start to decline. In summarizing recent activity related to rising interest rates, one analyst recently said in an interview that he believes the South Florida real estate market is going to see interest rates continue to rise. Barring some significant international economic disaster, he said residents should see rates rise to 5 or 5.5 percent soon. But, as he noted, even those rates are incredibly good, albeit not as good as they’ve been in last 12 months. So home buyers, while you might have missed the absolute best deal available in terms of interest rates, there are still fantastic mortgages out there for you at incredible prices. To take the next step toward making the most of this great time to be a South Florida home buyer, contact me, Scott Patterson. I’ll be more than happy to assist you with all of your home-buying needs! There’s reason to celebrate a little for the South Florida real estate market – especially if you’re a home seller with a list price under 1 million. From a decreasing supply of available homes for sale to rising sales prices – now is a great time to be a Seller especially if your property is listed under 1 million today. It’s all about “Supply & Demand” which is very price sensitive and it’s very important to understand the market depends on the “List Price” of your property, the higher the “List Price” the more inventory there is. Below, I’m going to tell you some of the recent findings from a national index on the health of the South Florida housing market. According to a recent market report, South Florida home prices increased by more than 5 percent in July when compared to July 2011 (depending on price range). That’s not all that has South Florida home sellers excited! In August, Broward County had fewer than 5,000 single-family homes for sale. When compared to a year ago, Miami-Dade & Broward County’s inventory has nearly been cut by 40-50%. Meanwhile, Palm Beach County’s home inventory was about 6,648 in August, which is 43 percent less than it was a year ago. In Miami, the average price per square foot of Miami area homes was $155, down 4.3 percent from the same period last year. 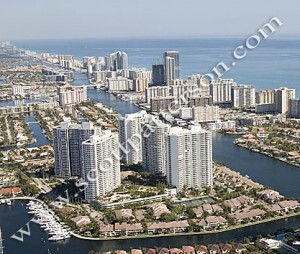 Between July and September, the median sales price for Miami homes was $155,000, up 6.9 percent from the year before. Also during that period, the total number of Miami home sales decreased by 11.6 percent. Broward County’s unemployment rate decreased from 8.1 percent to 7.8 percent between July and August. This is good news for home sellers because it means that more home buyers are in a position to purchase a home. Broward County’s unemployment rate is now better than the national average, which is 8.1 percent. Meanwhile, Palm Beach County’s unemployment rate also fell to 9.6 percent, albeit that’s still higher than state and national averages. Interest rates have continued to fall, with the average 30-year fixed rate falling to a record-setting 3.4 percent recently. Such low rates are sure to attract additional home buyers. Still, the recent article I read noted that there are some ways in which the housing market can improve even more. For instance, inaccurate home appraisals have been blamed in recent years for delaying or costing real estate deals. 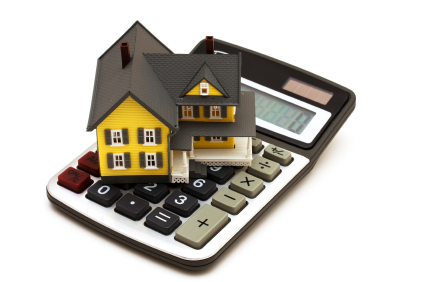 Experts are now calling for more accurate and consistent appraisals to aid in the housing market’s recovery. Some are also saying that a slight increase in interest rates may increase home buyer demand since home buyers will feel a sense of urgency to invest before interest rates continue to climb. The South Florida real estate market is a complicated industry with plenty of moving parts that may affect your experience as a home seller. So for an optimal experience that results in you selling your home in a short amount of time and for a great price, please contact me, Scott Patterson. I have years of experience working on the South Florida real estate market and I’ll be happy to provide you with invaluable advice, helpful home-selling resources and more! Start today by requesting my free selling South Florida real estate eBook or a pre-listing package! Available homes for sale on the South Florida real estate market have decreased significantly year-over-year, according to a recent article I read. The Palm Beach Post reported that the available inventory of homes for sale was down 34 percent in September when compared to September 2011. This is fantastic news for South Florida home sellers in such communities as Golden Beach and Sunny Isles who are hoping to get a great price on their property. High-priced homes for sale in Broward, Miami-Dade and Palm Beach counties were down 34.4 percent year-over-year. Meanwhile, inventory of homes in the lower-priced tiers were down 33 percent. In that same period, the national inventory of homes for sale has decreased by 19 percent. In Palm Beach County, the inventory of single-family homes had fallen to less than five months in August. When compared to August 2011, Palm Beach County’s home inventory has fallen 57 percent. On the same day that Zillow released its report, the company RealtyTrac reported that Florida saw the most foreclosure activity in September. Although some are concerned this may cause a drop in home prices as these foreclosed homes are sold, experts say that it’s more likely that these homes will more than likely be short-sold, which will help preserve prices. List Your South Florida Home for Sale Today! As I noted earlier, a drop in available homes for sale is a great sign for interested South Florida home sellers. That’s because the low supply of available homes will spur even greater home buyer demand, which will ultimately drive up prices. Thus, if you’re thinking about listing your South Florida property anytime soon, now is a great time to do so! 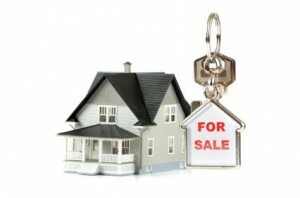 For expert tips on navigating the market as a South Florida home seller, please contact me, Scott Patterson. As it has become increasingly difficult to get a South Florida mortgage in recent years, more South Florida home buyers are using cash to purchase homes, according to recent real estate market data. 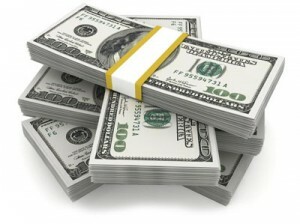 According to the National Association of Realtors, about 28 percent of 2010 home sales involved all-cash transactions. This trend appears to be an increasing, especially when one considers that in 2008, 14 percent of all real estate transactions were cash only. In the Miami-Fort Lauderdale area, the prevalence of all-cash transactions is even more apparent. In 2010, more than half of all transactions in the area involved cash buyers. Some experts have suggested that the sluggish housing market has caused the increase in cash-only real estate transactions. Here’s why. 70.6 percent of Americans feel like the difficulty of getting a mortgage is a serious problem. 32.3 percent of Americans found that understanding the mortgage process and meeting lender requirements is more difficult than getting the mortgage itself. 79 percent of recent home buyers said that getting a mortgage was as difficult or more difficult than they expected. 20.9 percent of home buyers said that it stressed them out more to wait for approval on a mortgage than to wait to hear back on a job opportunity. 10.8 percent of borrowers said their lender charged them a higher interest rate than they were originally quoted or expected. 20.7 percent of borrowers said that finding a lender that was easy to work with was a challenge. The recent data released on home buyers’ perceptions of getting a mortgage suggests that the process is stressful, frustrating and upsetting. Meanwhile, those home buyers who are opting to use cash on their real estate purchase are finding that the process is easy and even advantageous. Home buyers who use cash only usually get 5 to 10 percent off the asking price of a home as compared to those buyers who use a mortgage. Many South Florida real estate experts agree that sellers prefer cash real estate transactions because they tend to be quicker. In addition, the seller doesn’t have to worry about a bank rescinding a mortgage deal. 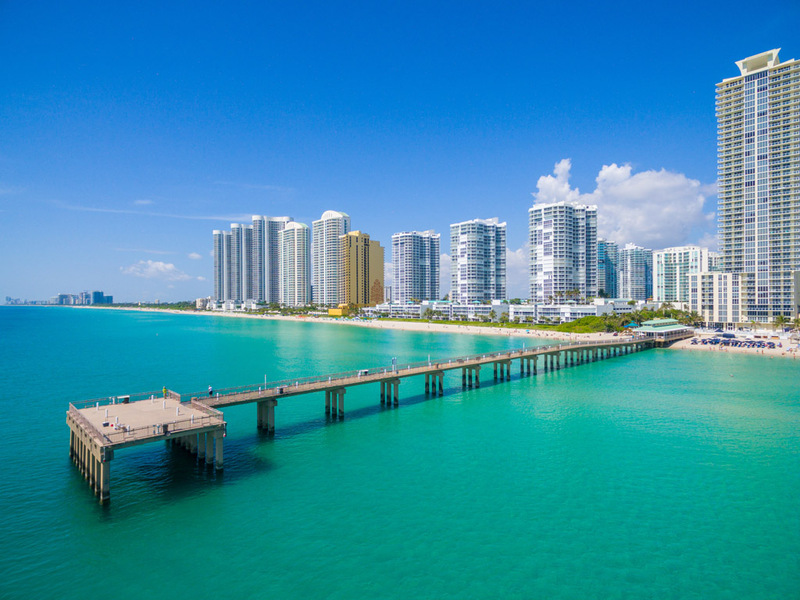 Are you interested in checking out some of the properties available now in Aventura, Florida and other nearby communities such as Golden Beach and Hallandale? 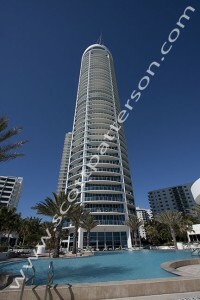 Then contact me, Scott Patterson, your South Florida real estate expert. As your South Florida REALTOR, I’ll keep you up to date on more trends like this one in the Aventura real estate market as well as let you know of any Aventura homes that enter the Aventura real estate market. I believe that most clear minded individuals would agree that given the fact that the Federal Government controls Fannie Mae that a coordinated effort could be made to relax those underwriting guidelines that will enable more well qualified buyers to obtain financing to buy a new condominium. •	For new construction and newly converted South Florida condo developments, 70% of the units must be pre-sold (closed or under bonafide contract). This is an increase from 51%. •	No more than 15% of a condo project units can be more than 30 days past due on HOA fees. •	Fidelity insurance will require for condos with 20 or more units, ensuring that homeowner association’s funds are protected. Prior to these changes this threshold was only for new condos but is now being applied to existing/established condos as well. •	Borrowers/unit owners must now obtain a condo-owners insurance policy unless the master condo policy provides for interior unit coverage. •	No more than 10% of a project can be owned by a single entity. •	No more than 20% of a project can consist of non-residential space. •	The homeowners association must have 10% of its budgeted income designated for replacement and reserves and adequate funds budgeted for the insurance deductible . The Icon and The Jade Residences in the Brickell area, Canyon Ranch on Miami Beach and The Artech in Aventura are just a few examples of the many new world class condominium buildings in South Florida. Many savvy buyers from around the world recognize that the units in these buildings represent incredible values at their current price points. I think that it would benefit the housing market and the economy as a whole if the Federal Government were to put into place meaningful changes to the Fannie Mae condominium guidelines to make it easier for well qualified buyers to finance these units. While most of the units in these luxury South Florida buildings would require jumbo mortgages wouldn’t it make sense for the Federal Government to require any lender that was the recipient of TARP funds to adhere to a relaxed set of condominium guidelines making purchase money mortgages more readily available to potential buyers? The Federal Government needs to coordinate it’s efforts regarding new condominiums and available financing before their actions lead to the destruction of an otherwise viable market place. For your consummate mortgage news visit James Venney’s Blog. Ron Peltier, President and CEO of the Holding Company, Homeservices of America Inc. speaks about the Nations housing and Lending situation. Homeservices of America, Inc. is a Berkshire Hathaway Affiliate which owns South Florida’s EWM, and the second-largest full service independent residential real estate brokerage firm in the country. I think it is very important to listen to every indicator you can today and especially with successful people like Ron Peltier & Warren Buffet. Warren Buffet stated just a few weeks ago that until the US Housing Market stabilizes the world economy with continue to suffer. Berkshire Hathaway is one of the largest shareholders of Wells Fargo which is one of the few financial institutions that has been doing well and one of the few lending today. South Florida Mortgage Market Update! One of the primary goals for the Buy South Florida Real Estate Blog is to be a valuable resource for the South Florida real estate market. From time to time, I will invite market experts to write a post providing you important updates on these experts’ area specialties. For this post I have invited expert South Florida Mortgage Banker, James Venney to offer this timely mortgage market update. James is very knowledgeable in the mortgage industry and is up to date on the continually changing industry especially here in South Florida. I have invited James to offer his insight on the current trends in the mortgage market. Empowering you with timely mortgage information, after reading this post, we welcome your comments.